Extracting emails from Microsoft Outlook will help to save them from any damage in case your account is blocked or lost. This is the first reason why people create local email copies. By converting them to PDF you will create a perfect message list for viewing or sharing online. Editing the content of such files is impossible, and you can be sure that your mail history will stay in original version. 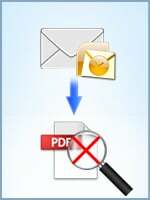 Moreover, using Total Outlook Converter you can create a non-searchable version of PDF with emails. This is a perfect variant for users who take care about security or have corporate rules of using non-searchable copies. 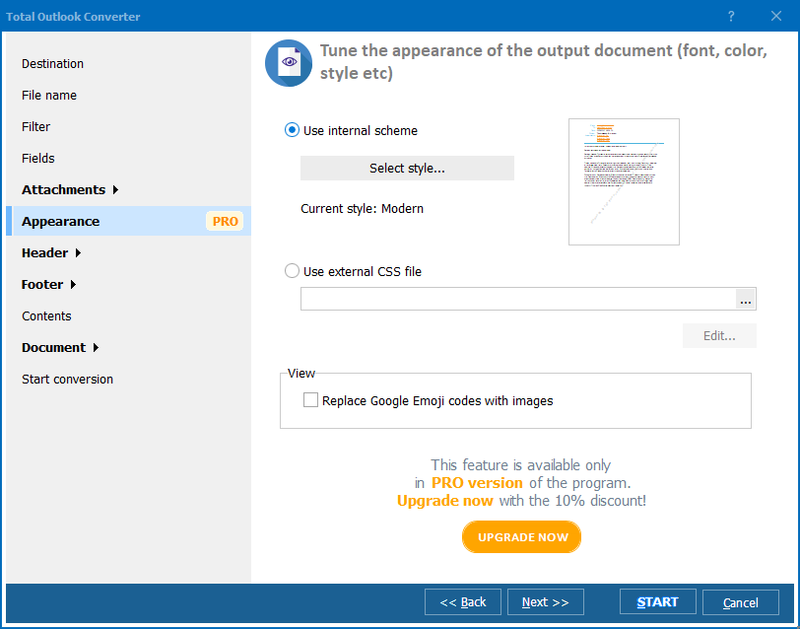 Additionally PDF properties can be setup to specify authorship for the document. The program supports batch message processing and offers either combining or separating them during conversion. Creating one output file is more comfortable for storage, as you will not get lost in hundreds of email copies. Converting emails to a separate PDF is better in terms of restricting access to different emails. In any case you specify settings that will be used for all selected source messages. 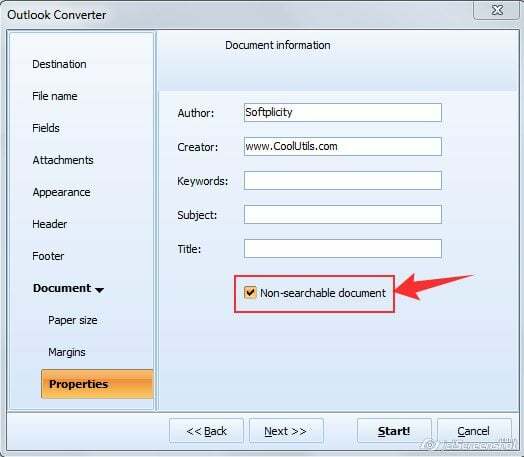 In order to create a non-searchable PDF copy of emails, you need to go to Document > Properties in settings wizard and tick the "Non-searchable document" option there. The rest of settings will define formatting of the future copies. You can edit header or footer, change page format, etc. 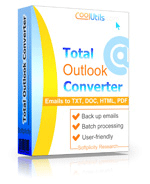 Total Outlook Converter can be run from the command line too. 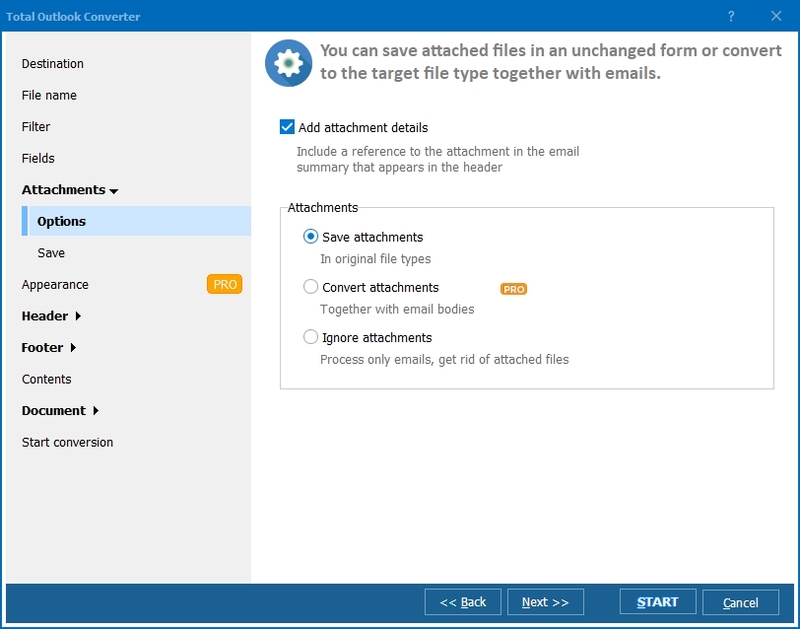 One command is enough to convert all your inbox into a non-searchable PDF file. All command line parameters are listed in the Help menu of the program. 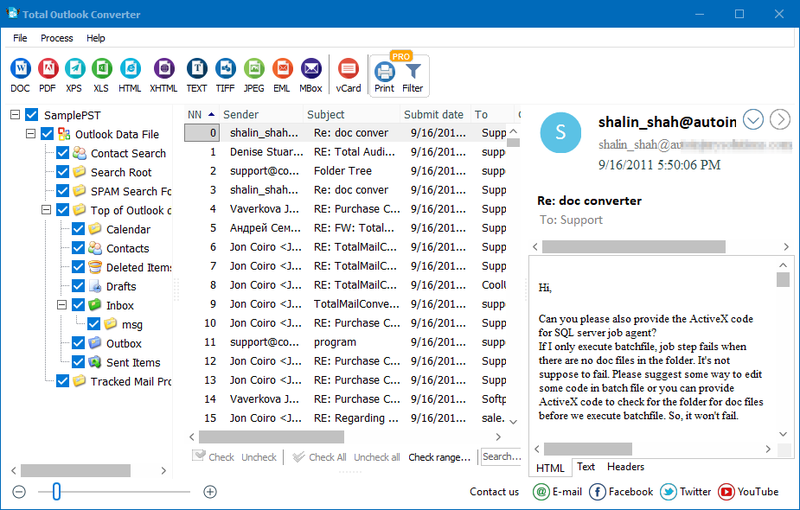 You can try this email converter without registration, it is available in a trial version here.